Services Designed for you and your Hive. 100% Green Cleaning, Designed for you and your home. This is our regular service for weekly, bi-weekly and monthly customers. For this service we use 100% environmentally friendly cleaning products. We believe in a cleaner future for everyone. Our most thorough cleaning. This is done on our initial visit to your home. This is a longer visit and costs a bit more. 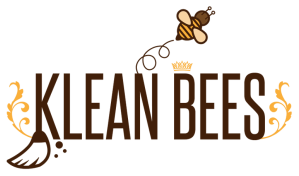 It allows us to bring your home up to the Klean Bees Standard. water plants, wash dishes, clean all interior windows, clean inside oven, clean inside refrigerator, stock or refill toilet paper, paper towels & hand soaps, change light bulbs, launder towels & sheets, and clean patios & porches. If you want something done that is not on our list, just ask. We'll do our best to accommodate you.